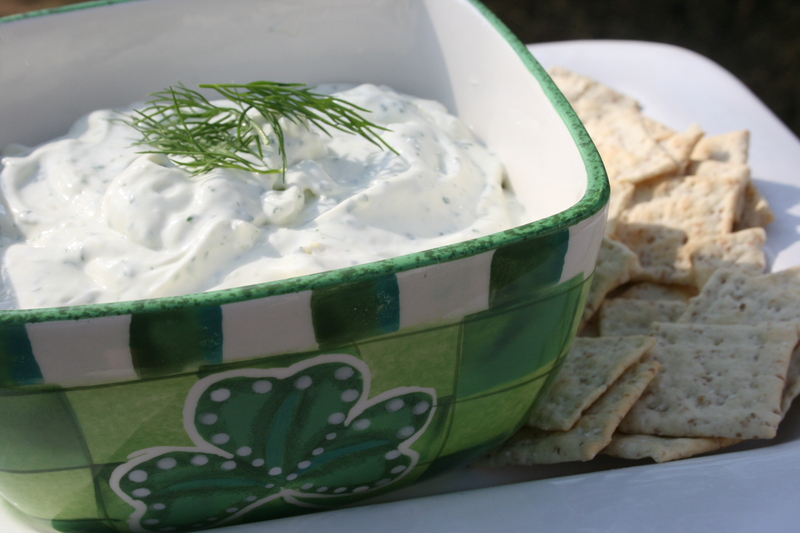 One more week until St. Patricks’ Day so here’s a super easy St. Patrick’s Day Dip made with Greek yogurt plus nine other St. Patrick’s Day recipes favorites. How are you celebrating? I’ll be in Phoenix! Green Smoothie via Ingredients, Inc. Since Saint Patrick’s Day is one week away, here’s a quick and easy dip that is sure to be a party pleaser. This low-fat, low-calorie delight is perfect for spring. It’s filled with fresh dill and fresh basil. Guests won’t believe that this dip is low-fat, and don’t tell them it took only 10 minutes to prepare.